Here it is, Anna is going to marry. Help her to make this wedding boho style and enjoy the event! Boho style is perfect for princesses who desire to have something unique. 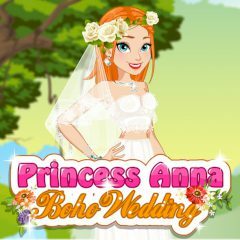 Why don't you help Anna look amazing in Boho dress?